A Litir um Thoghchán from John Kelly who is running for Labour in Roscommon. A leaflet from Senator John Kelly who is running for Labour in the 2014 Roscommon South Leitrim By-Election. From the 1989 General Election an ad for Progressive Democrat Kerry South candidate John Kelly. He polled 1,458 votes and failed to win a seat. 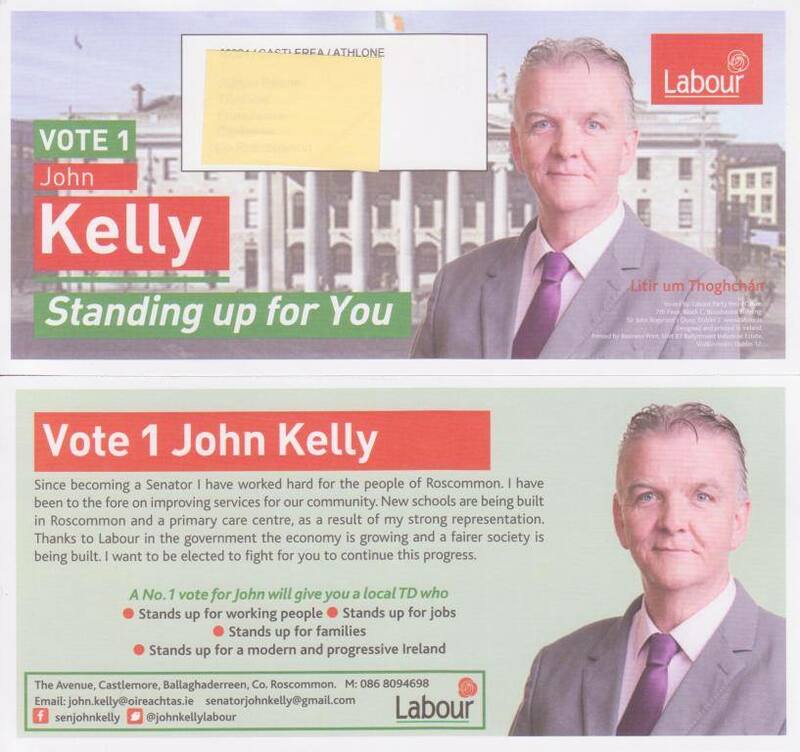 From the 2011 Seanad Election a leaflet from Labour Party candidate John Kelly who was running for a seat in the Administrative Panel. Roscommon based Kelly, a long time Independent Councillor joined Labour in 2010 and stood in the 2011 General Election for the party in Roscommon South Leitrim. 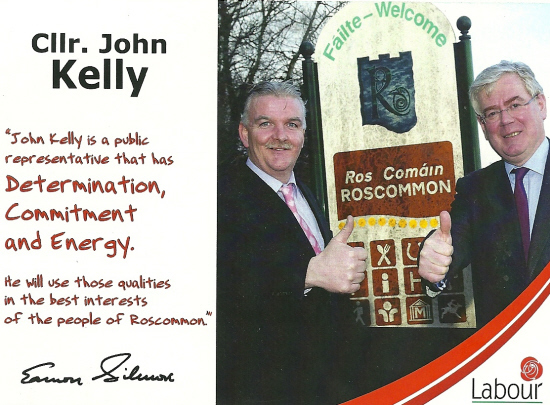 From the 2011 General Election Campaign a flyer for Labour candidate John Kelly running Roscommon South Leitrim. Kelly previously ran as an Independent (flyer here) and was recruited by Eamon Gilmore to the Labour fold in 2010. A flyer from recent Labour recruit John Kelly.Introducing himself as a Labour Party man and also welcoming Eamon Gilmore to Roscommon. John Kellys 2007 Flyer when running as an Independent.